Engine Class: under 160 c.i. Engine Class: 161 to 230 c.i. Engine Class: 231 to 300 c.i. Engine Class: 301 to 450 c.i. Engine Class: 451 to 600 c.i. Knox leaving just these three Nationals to compete. 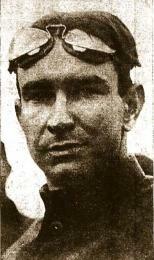 There were 14 starters, including Aitken, Fox, and Miller. not allowed to compete as his Fiat had not been cleared. Helmet and $50 a week as long as he defends it. Cancelled due to lack of cars. 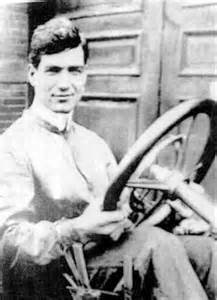 didn't pan out either due to lack of such cars. 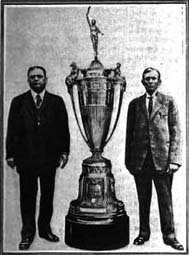 Motsinger drove an Empire "twenty"
events or the big trophy races not for stock cars. withdrawal all their cars. So referee A.R. did show up to race. Cars were practicing on Wednesday and Thursday. 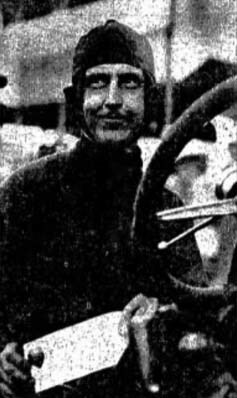 Speedway and the National Motor Vehicle Company. 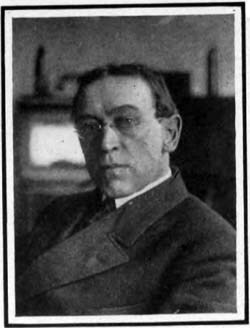 he went to his son's home on north Meridian Street. would drive other makes in stock classes. Postponed till Monday due to cars not being ready. 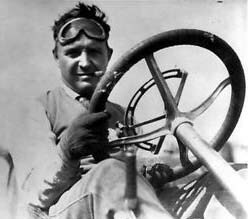 2nd - Ray Harroun - Marmon "Thirty-Two"
3rd - Charlie Merz - National "Forty"
19 cars entered this race. cars even started - due to handicapping. 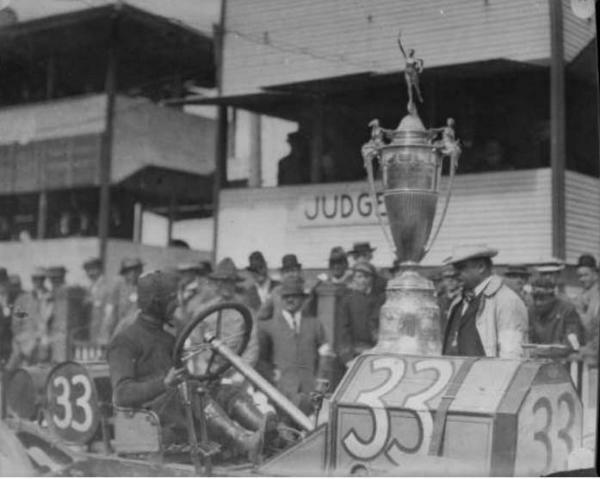 19 cars started this race. complete somersault and crashed throught the fence. incline into the soft mud. It was not badly damaged. sprained his right shoulder. The big car was totalled. bleachers, then race once around the track. 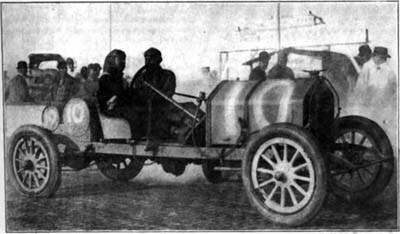 All cars used were Overland test cars. 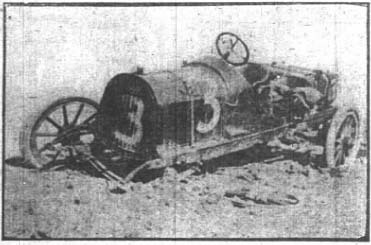 Other drivers included Baird, Ricketts and Shessler. The old newspaper articles were not consistant. custom Benz he'd been racing for years. Aitken set a new record for this class. 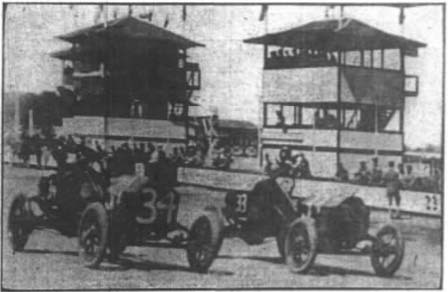 5 cars started this race. 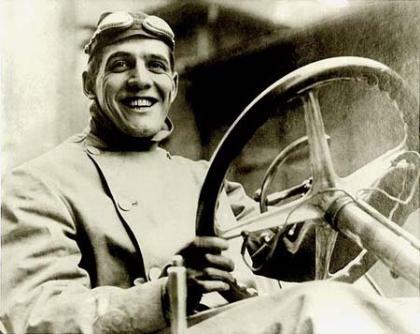 Anderson led the race until the last lap. ahead of the rest of the field. the 1-mile in a time of 35.63 in his Benz. 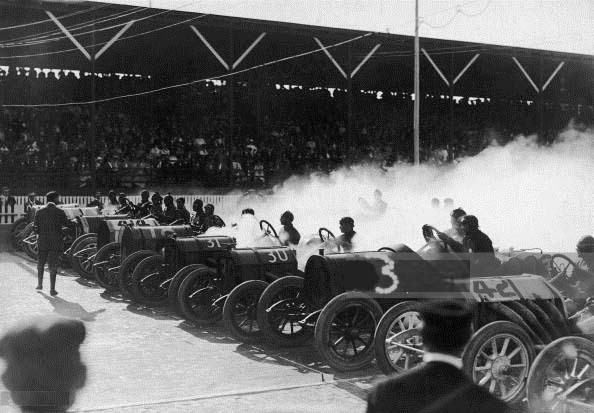 15 cars started this race. touring conditions and carrying four passengers. Engine Class: 450 to 600 c.i. onto the track. 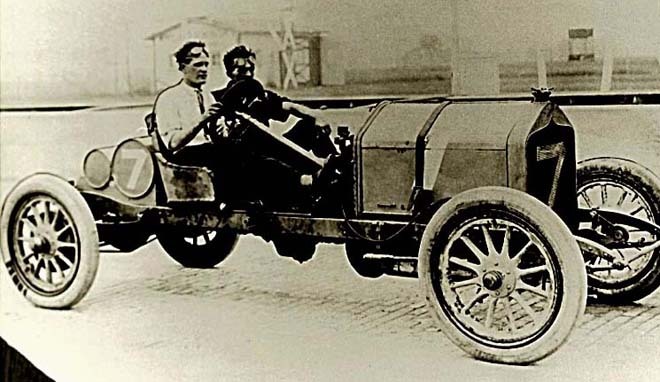 Harroun was unhurt. best he could do was 1'10.45"
trouble and did not finish. So trophy was not awarded. Engine Catagory: 231 to 300 c.i. Engine Catagory: 161 to 230 c.i. Engine Catagory: 301 to 450 c.i. Engine Catagory: 451 to 600 c.i. "Ninety" twice in a row! 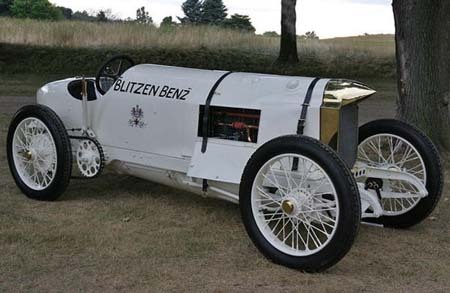 The Blitzen Benz resides today in the Jay Leno collection. 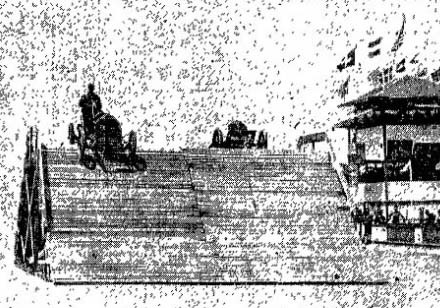 The Indianapolis Motor Speedway was completed in 1909.
multiple shorter races were held at the historic track. Information about those races can be found on these pages. Halley's comet was passing by the earth. Several companies of Indiana Guard patrolled. Another nice day reaching 72-degrees. A strong wind blew from the south. Harroun and Dawson's Marmons had a photo finish! 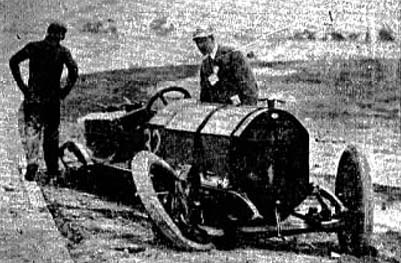 car from her home to San Francisco. A female reporter accompanied her. Scott performed all the work needed on the car herself. sturdy enough to hold the crowd filling them. bleachers collapsed, people would fall 25 feet. made some calls to speedway management to warn them. Another nice day with temperatures rising to 75-degrees. 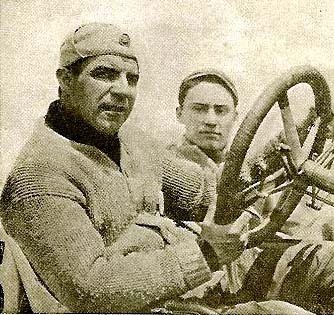 The start of the 100-mile race. 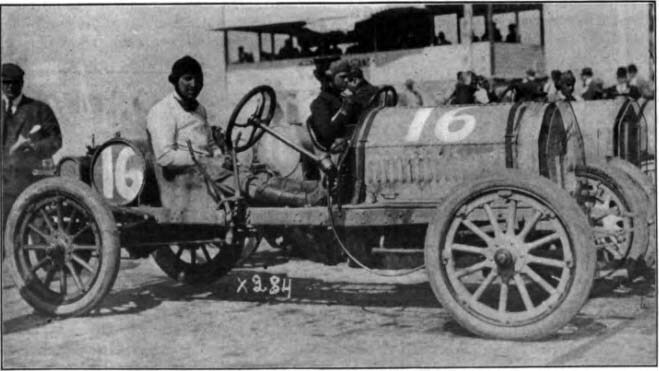 Johnny Aitken drove the #7 National to 3rd-Place in the Wheeler-Schebler Trophy race.